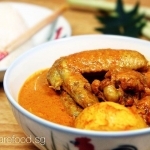 Curry Chicken is one of the all-time favorites among Singaporeans. To celebrate this special occasion, we had one of our home cooks, Lucinda Lau, to share with us one of her signature dishes. To Lucinda, this recipe is the closest to her mum's flavour - which she is so used to during her growing up days. 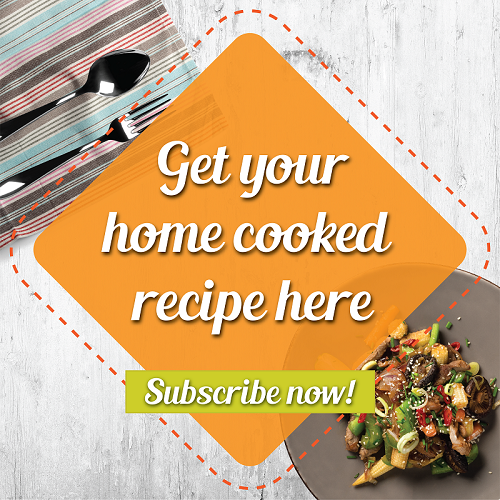 The taste and smell also brings back beautiful memories of her mum's wonderful creation, a nostalgic and fragrant bowl of hot pipping Curry Chicken. 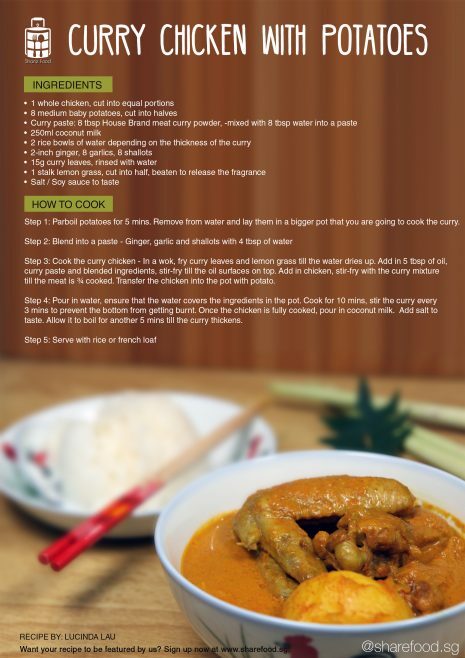 Curry Chicken is one of the all-time favorites among Singaporeans. To celebrate this special occasion, we had one of our home cooks, Lucinda Lau, to share with us one of her signature dishes. The taste and smell also brings back beautiful memories of her mum's wonderful creation, a nostalgic and fragrant bowl of hot pipping Curry Chicken.